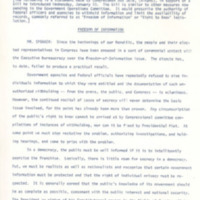 This press release was issued in advance of voting on the Freedom of Information Bill, scheduled for June 20, 1966. 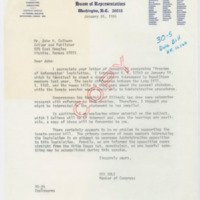 It explains the bipartisan support the legislation has and rumors that President Lyndon Johnson might veto it. 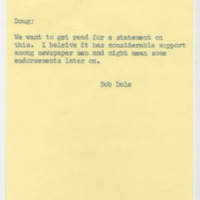 This press release is a statement Congressman Bob Dole made in support of the freedom of information legislation he introduced on Wednesday, January 19th. 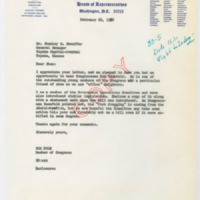 Correspondence between Stanley H. Stauffer and Congressman Bob Dole. 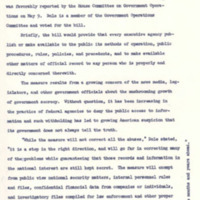 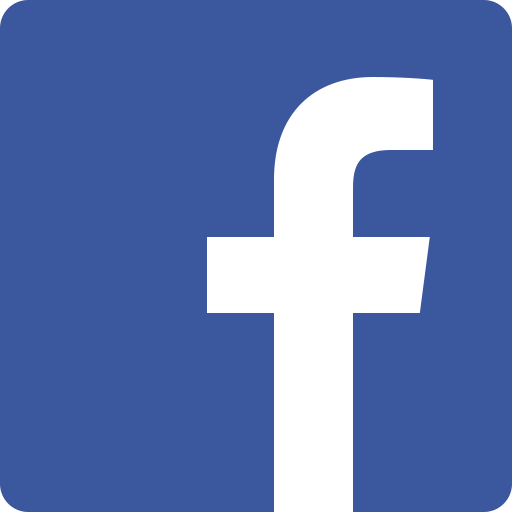 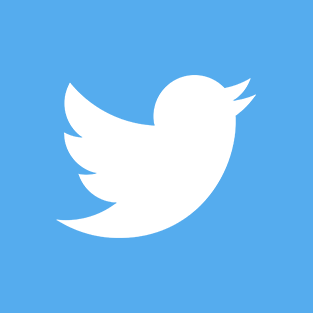 Stauffer writes as the General Manager of the Topeka Capital-Journal, in Topeka, Kansas, to express support for the freedom of information legislation. 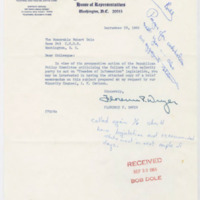 Letter from Congressman Bob Dole explaining the differences between his bill and others and enclosing other material, including a January 5, 1966, memo by J. Phillip Carlson compairing S. 1160 with H.R. 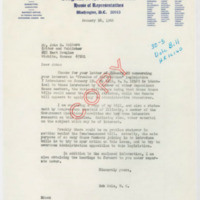 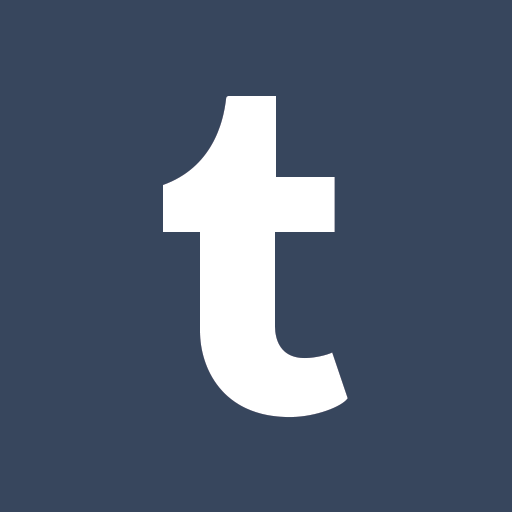 5012 and companion bills. 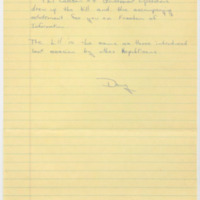 September 1965 memoradum from Congresswoman Florence P. Dwyer on freedom of information. 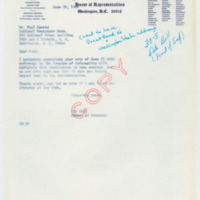 The memo was written by Minority Counsel, J. Philip Carlson. 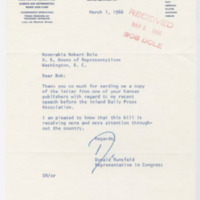 Correspondence between Congressman Donald Rumsfeld and Bob Dole regarding a letter Dole received from a Kansas publisher about a Rumsfeld speech.